Oh my, what a great collection of stories! I try not to use this word too much, but it really is swoony! Each couple had a bit of a journey to take to finally come together, and I thoroughly enjoyed the ride for each. 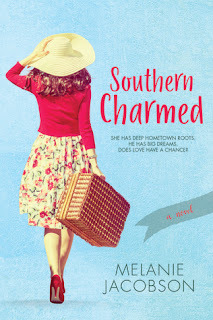 I loved how the four stories weave together in subtle ways, connected through the big Charleston wedding, but also stand so well on their own. 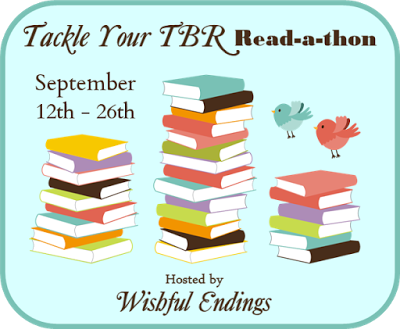 I also thought the choice to have the timeline start before the wedding and finish after was smart and it kept me interested and engaged to have the majority of each story occur at a different point in time with some overlap. I seriously can't decide which one was my favorite, I loved them all equally. The personalities and circumstances of each couple are distinct and unique, but something they all share is fabulous romantic tension and amazing kissing scenes! 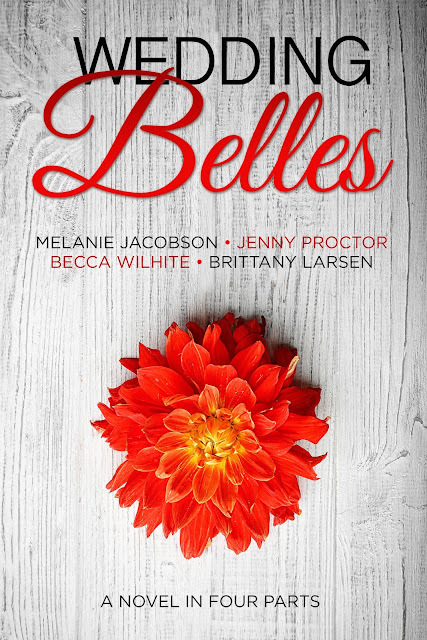 Highly recommend to fans of sweet contemporary romance! Tangerine Street is a must-see tourist stop with a colorful mix of one-of-a-kind boutiques, unique restaurants, eclectic museums, quaint bookstores, and exclusive bed-and-breakfasts. Delilah's Desserts, situated in the middle of this charming collection of shops and cafés on Tangerine Street, is a bakery that offers a different variety of desserts each day. The emotions that Delilah bakes into these desserts have a strange effect on customers, sometimes altering the course of their lives . . . I love the Tangerine Street Romance series! There is a special vibe in Seashell Beach- relaxed and yet busy with the small businesses that thrive there. In this collection of stories we get to meet Delilah, the owner of the bakery, Roxy, the local artist/muralist, and KC, a vegan author. It was easy to get to know and like the characters and their stories were interesting. 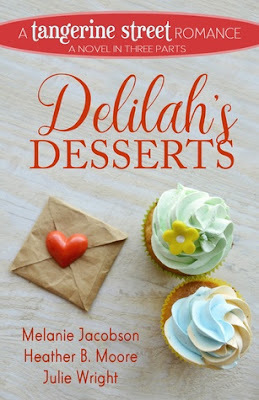 I loved the idea that Delilah not only baked whatever desserts matched her mood, but hat she released her emotions into them. My favorite story was Roxy's, because she is an artist and introvert, and her individuality and tell-it-like-it-is demeanor attracts Mark, who is attempting a year-long dating hiatus. They had great chemistry and I loved their vulnerability with each other. 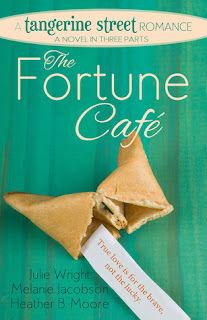 KC is a vegan who indulges in a cupcake from the bakery once a month as a ritual, and the connection she makes with a magazine journalist is threatened when he suspects her of being a fraud. Each of the stories has a common thread with the bakery but also the theme of forgiveness. An enjoyable addition to the series! Don't miss the other books in the Tangerine Street Romance series . . . 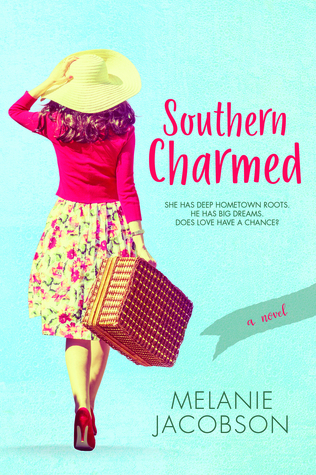 I read Southern Charmed by Melanie Jacobson and got my review written and posted! I'm so on a roll!!! See what other reviewers are saying about the book! 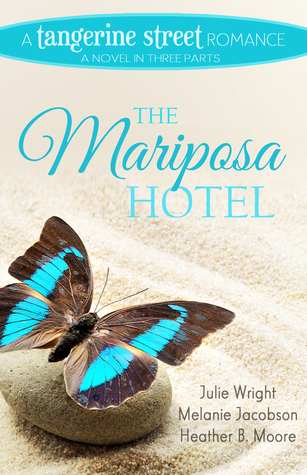 Mari, a hotel maid working to pay college tuition and studying criminology, notices the tiniest details and is intrigued by the "ghost" who barely leaves a trace in his room. U.S. marshal Grant is involved with witness protection and feels he can't share details about his work with Mari which sets the scene for misunderstanding as they instantly connect but his job eventually gets in the way. My favorite story of the three, I loved the dimension to each of the characters. Mari and Grant both have deeper struggles they are working to overcome and find healing in their relationship with each other. I also appreciated that they took a week or two to get to know each other before diving into a romance. Ridley, acclaimed photographer who subs as concierge while in town shooting a surf competition meets Brooke, a plastic surgeon trying to recruit doctors to join her on a charity trip to repair cleft palates. Both make assumptions about the other based on stereotypes without getting the whole story, but end up falling for each other as they entertain what was supposed to be just a fling. This story seemed a little more "surface" to me as Brooke and Ridley flirted with each other despite the stereotypes they each disdained about the other. They did share some pretty romantic moments, but there wasn't a foundation of trust behind their initial relationship. Regean is the hotel events manager handling a charity gala for Hollywood producer KC Woods with a demanding assistant, but when she meets Kevin in the lobby, accepts a date only to discover later he is one and the same. More mistaken assumptions complicate things but Reagan bravely gives him a second chance and helps him smooth out some family drama that followed him to the hotel. I liked the chemistry between Kevin and Reagan, even though it moved pretty quickly. There was a decent balance of physical attraction and appreciation of personality. The fact that Reagan stepped out of her comfort zone to embrace the romantic moments with Kevin made their relationship more special. The subplot of Kevin's family drama rounded out the story nicely. Handsome twenty-eight-year-old Will Hallerman has finally had enough of the dating world—he's ready to find a wife and settle down. This announcement is catastrophic in Hannah Becker's world. After knowing Will her entire life and adoring him from afar since junior high school, she realizes her chance at love with him is in grave danger. Hannah's problem? To Will, she will never be more than his best friend's little sister. Determined to open his eyes to her charms, Hannah sets out to sabotage Will's wife hunt by placing nightmare dates in his path and taking his search on a wild goose chase. Her plan is risky, but she's willing to take a chance to catch the eye of her soul mate. Despite her crazy schemes, nothing seems to be working. Hannah can't help but wonder if it's time to set aside this childhood crush—to move on and settle down herself. She's ready for a fresh start with a great guy. If only Will weren't suddenly changing the rules of the game... And how can Hannah move on when Will just won't let her forget? I could not put this book down. I started it first thing in the morning thinking I'd read a chapter or two, but six hours later my toddler was still in pajamas (at least she was fed). Hannah is such a conflicted character, full of contrasts. She is an extremely smart, professional, together young woman, but when it comes to her relationship with Will, her emotions are all over the place. It's a fascinating study of unrequited love and the obsession that accompanies it. Balancing out the crazy is Hannah's friend Sophie, who tells it like it is and encourages Hannah in healthy ways. 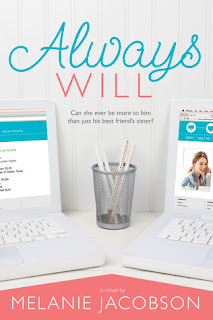 I loved all the mannerisms and quirks of Hannah and Will's friendship, and trying to interpret what Will is thinking since the story is not told from his POV. There are several ups and downs, twists and turns in the plot that kept me glued to the book to see how it would all play out. 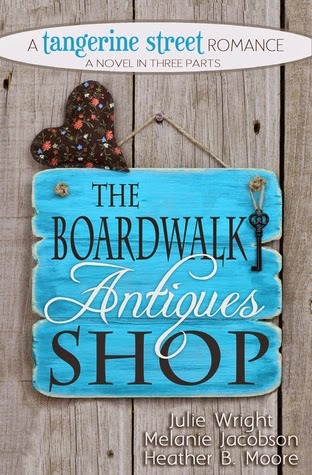 MESSAGE IN A BOTTLE: Jennifer is newest owner of The Boardwalk Antiques Shop, inherited from her aunt. When Jennifer arrives in Seashell Beach, her first priority is to meet with a realtor to sell the place. She laughs out loud when she discovers the realtor’s name is Mr. Studly. But the more Jennifer gets to know Paul Studly, the more she finds reasons to stay and run the antiques shop herself. SOLVING FOR X: Abbie is only a little bit obsessed with antiques, okay, a lot. So when Holden, an out-of-town business executive, tries to purchase the tin soldiers that Abbie’s had her eye on, Abbie refuses to back down. The antiques shop owner issues a challenge: whoever comes up with the best story for wanting the soldiers, will become the new owner. Abbie isn’t about to let some fancy executive beat her out, no matter how charming he is. A STITCH IN TIME: When Cate learns that antiques dealer Henry Lancaster has purchased the sewing machine left to her by her grandmother, Cate is determined to get it back. What she isn’t counting on is that Henry has just as much claim as Cate. And it doesn’t help that Henry is good-looking and apparently single. Getting to know Henry becomes an unexpected surprise, sending her life into a sudden detour. It was a pleasure reading these three stories that tie together in a subtle way. The characters are vibrant, the setting is interesting, and the plots are well-rounded. I don't think I could choose a favorite of the three since I liked them all equally! I love antiques so that theme especially appealed to me. I would love to be in Jennifer's shoes- running an antique shop where every piece is special and has a story behind it :) As soon as I finished reading this book I immediately bought the first book in the series- The Fortune Cafe, which I also loved! I'm looking forward to more fun stories from these talented authors.